Good News To OFWs! The much awaited iDOLE or OFW ID will be released very soon. 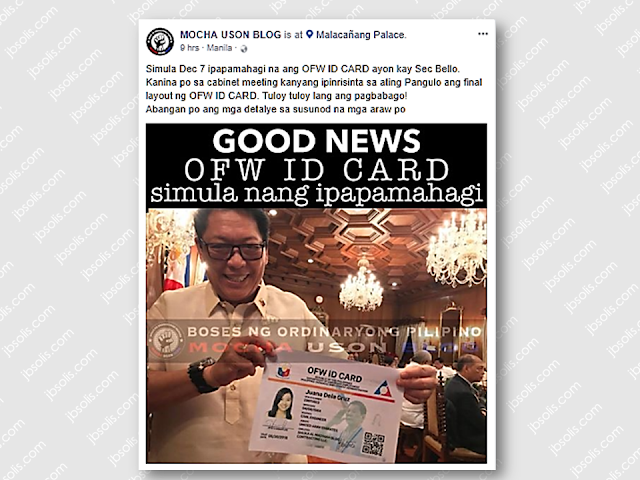 According to the social media post of PCOO ASec Mocha Uson, the OFW ID fianal lay-out has been presented during the cabinet meeting and is ready to be distributed on December 7. The OFW ID will serve as an OEC for OFWs, meaning, OFWs who will be given the iDOLE card no longer need to secure OECs. It is also designed allowing its bearer to transact with government and private agencies, such as Pag-IBIG, SSS, and PhilHealth, it can also serve as a debit card and an ATM card for the OFW Bank, as well as a beep card if the bearer use LRT and MRT. 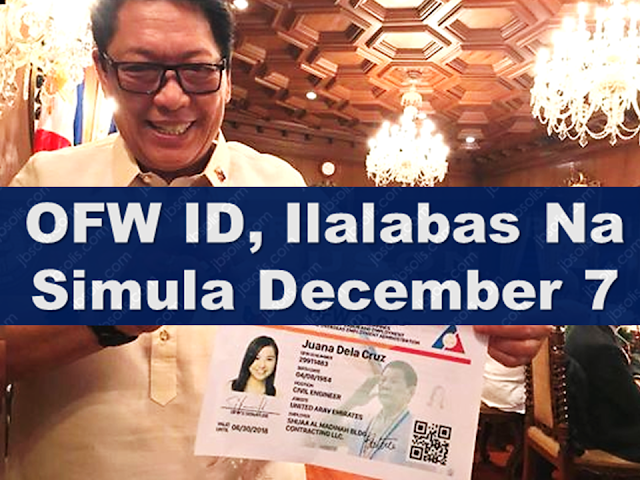 Department of Labor and Employment (DOLE) Secretary Silvestre Bello III recently announced that OFWs who will be home for the holiday season will be the first to receive their OFW IDs, but there was no definite date as to the release of the card. Concerned agencies even admitted that interlinking the databases for the iDOLE is a complicated task. ASec Mocha Uson also mentioned in her social media post that further details regarding the OFW ID will be released these following days.